I have chronic leg pain primarily when sitting or laying down. I am a new mom and fear I am suffering from something REALLY REALLY bad. I had a DVT which showed negative for clots. I am low on vitamin D (level 18) Could this be causing my muscle pain? UGHHHHH!!! I HATE to hear stories like yours. It is absolutely CRIMINAL that your doctor allowed you to get through pregnancy with vitamin d deficiency. He has not only endangered YOU by setting you up for problems like chronic pain and DVT's- which are both complications of vitamin d deficiency by the way. But he has also endangered your BABY- who has no choice but to be born vitamin d deficient!! So, I'm going to ask you to read a few articles. The first one is my blog post that talks about getting enough Vitamin D During Pregnancy and the risks to your baby when you don't. "the American Academy of Pediatrics (AAP) recently recommended that all pregnant women have a 25(OH)D blood test...As the AAP recommendation came from an official medical body, to medical malpractice attorneys it represents evidence of a 'standard of care' for future lawsuits." So, what he is saying is that YOUR doctor did NOT follow the AAP's standard of care for testing pregnant women's vitamin d levels!! You may want to ask your doctor WHY he chose not to follow the AAP's recommendations. And yes, your leg pain COULD be because of vitamin d deficiency, but you'll have to get your levels up to the 'optimal' range of 50 to 80 ng/ml (ignore the range on your lab sheet) in order to find out for sure. Also, I hope that your doctor did not give you a prescription for vitamin d, did he? If he did, you should read my page on Prescription Vitamin D to see why that is NOT recommended and that he should have recommended that you take Vitamin D3 Supplements instead. Well Jennifer, this is probably a lot for you to take in for right now, but I hope that you take the time to read those references and that your baby is ALSO on vitamin d supplementation as well!! OH, before I forget, I'm not sure how you have a DVT without a clot. Having a clot is the DEFINITION of a DVT. Having a clotless DVT is like having a waterless glass of water- it makes no sense. So you might want to ask your doctor what he means by that. For the past 4 years I have experienced leg pain upon sitting, standing,bones aching, joint pain 24-7.Heart pounding, rapid, feeling heart was just going to stop. Dehydrated. 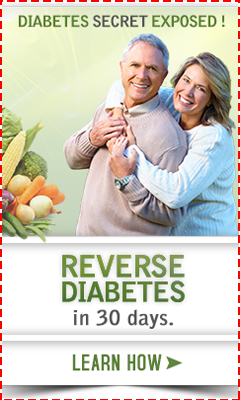 I had numerous Dr. appointments & was always given motrin & was prescribed magnesium 60 mg. for leg ailments. Recently I asked for various blood tests because the pain was unbearable. I was vitamin d deficient 16. Was put on a supplement of 2000 units. Leg pain gone, heart feels back to normal. Can't believe I suffered so long & a blood test was never done on low Vitamin D but now I am plagued with narrowing of the spine cerval/lumbar just when I was feeling great with no leg or bone pain. 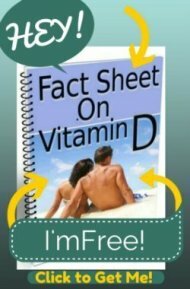 I am 48 and have been taking over the counter vitamin D because my level was 14 and after a year of taking 10,000 units daily, I have gotten it up to 19. I also have had a DVT in the past for no apparent reason. I suffer from osteoarthritis and fibromyalgia. I recently have had a total knee replacement. I just can't seem to get my levels up. I am in constant pain and always tired. What do you recommend?